The third highest peak in the Cordillera Real of Bolivia, Illampu rises above the wee village of Sorata and is normally climbed from here in a round trip of five or six days. Illampu from the neighbouring summit of Ancohuma to the south. The normal route finishes on the steep right hand snow ridge. 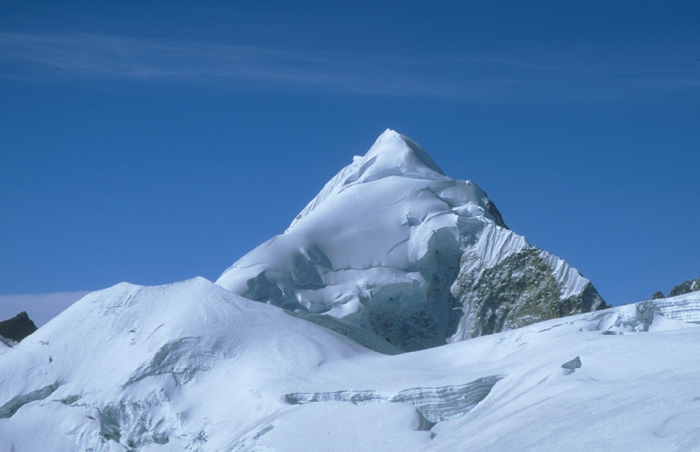 We organise guided ascents of this peak. For details of the normal route and some of the harder lines on Illampu please see our guidebook.